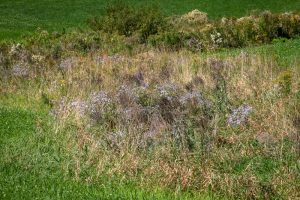 As we approach leaf-color change time, for which New England is so famous, the wild flowers still blooming along our roads, around our fields, and in our yards become more noticeable and precious. Naturalist Fred Gralenski of Pembroke, Maine, nicely calls our attention to some that are common way Down East and here. He and good wife Linda famously started and run a public library in his small town two and one-half the size of Middleton with one-tenth the population on shores with a tidal range of twenty feet. Every couple-weeks for years Middleton Stream Teamers have received his “Quoddy Nature Notes” which, when asked, he generously lets us use in our Water Closet. Fred’s nature library at home must be impressive. In his essays he often playfully shares with us his numerous sources. As we head into the days of lessening daylight, Mother Nature tries to compensate our entrance into a world of mostly black and white with a burst of color. We have the previews right now with the fall flowers, in anticipation of the October tree leaves, which are mostly reds and yellows. Our roadsides presently are decorated with various clumps of flowers. The blues are primarily the New York, New England, and Purple stemmed asters, and a few others flower types. 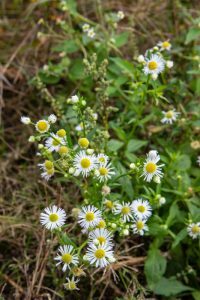 The Whites are also mostly White asters, and left over Meadowsweet and Queen Anne’s lace and certainly the floating seeds of dandelions and milkweeds. 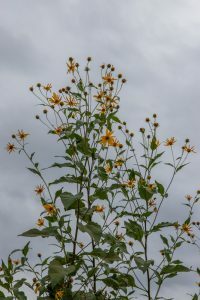 The golds, of course, are dominated by another aster, the many goldenrods that are native to our area. There are a few hardy dandelions blossoming, but the buttercups seem to be all gone. A clump of Tansy may appear now and then. Butter and Eggs, along with Bird’s Foot Trefoil, add a calming tint to the roadside weeds. 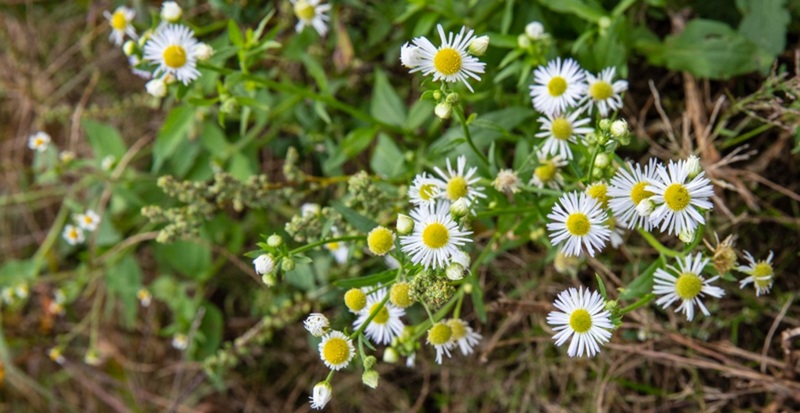 But what is that other plant, that skinny dandelion that flourishes in fields and uncut lawns where the grass is stunted by the dry, hot summer? I used to call that ‘Hawk’s beard’, but I guess that was wrong. Fall dandelion or Hawkbit is found in my “Summer & Fall Wildflowers of New England” by Marilyn J. Dwelley. 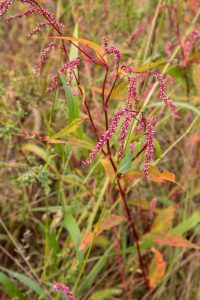 This seemed to be the closest plant in my search. So that’s a little of the strange yellow plant that’s blooming almost everywhere, and keeping the why and how of its presence a secret. If you don’t have any, come on up and I’ll give you some. Mine might be a variety, but I’ll show you how you can buy on line one hundred grams of certified seed for fifty pounds sterling. 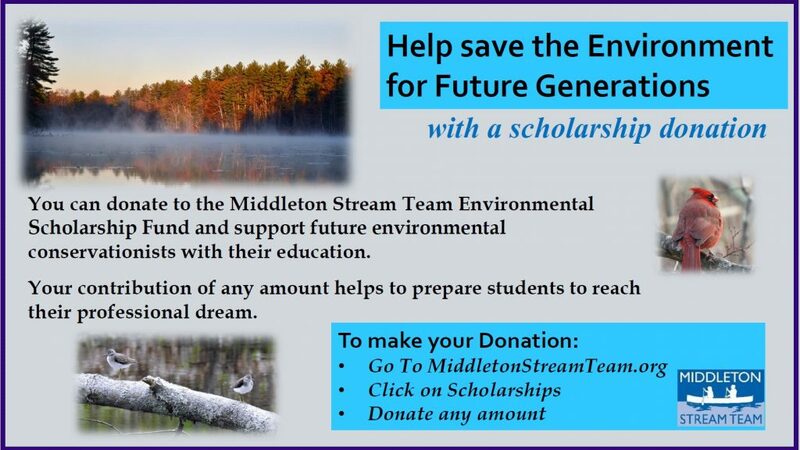 ** Middleton Stream Team is the source of actual precipitation data for Aug. and Sept.